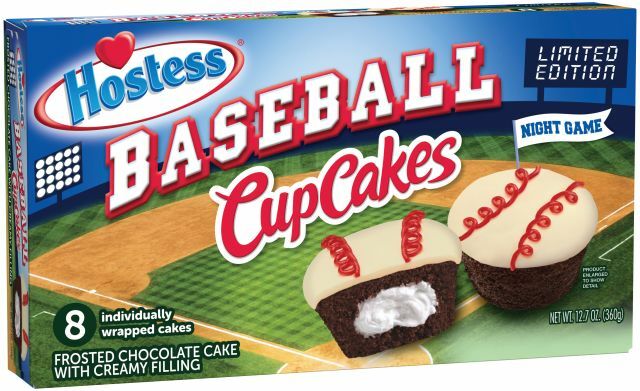 Hostess brings back Baseball Cupcakes for a limited time to help kick off the 2018 baseball season. The seasonal cupcakes come in two varieties: Day Game and Night Game. Day Game Cupcakes feature white-frosted yellow cupcakes with creme filling, decorated with red squiggles to resemble baseballs. Night Game Cupcakes are much the same except with chocolate cake instead of yellow cake. Both chocolate and yellow cake versions can be found in boxes of eight at retailers nationwide through April 2018.